It's been a hectic week; classes have finally started and I've been a whirlwind of deciding what classes to take and where I should be (Grenoble INP Phelma, the school I belong to, have campuses at three different sites spread out around the city).Surprisingly, I've been able to follow all of my classes, even though they are in French. I think the harder part will be writing papers and exams, as my written French is very bad. Yesterday I celebrated the arrival of weekend by going for a bike ride with two new friends of mine: Sophie from Germany, and Brice from Grenoble, both bike enthusiasts. They were also both on downhill bikes. Casper (my trail bike) felt pretty puny compared to them! We took the bus from Grenoble (200m) center up to Col de Vence (700m), and then cycled (me) or walked (the downhill bikers) up the road/trail towards Mont Rachais, above the Bastille. At the high point, we could see Grenoble spread out before our feet, the Belledonne mountains majestic in the background and the sharp plateau of Vercors to the south. From there we followed the classic freeride trail down to the city. 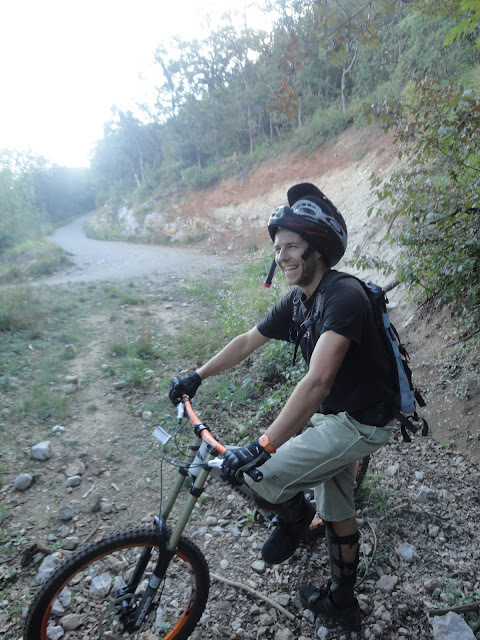 I found parts of it quite challenging; it was technical, steep and rocky. But what a great trail to have in my backyard - I will be going back again! Next time I'll take some more action shots. 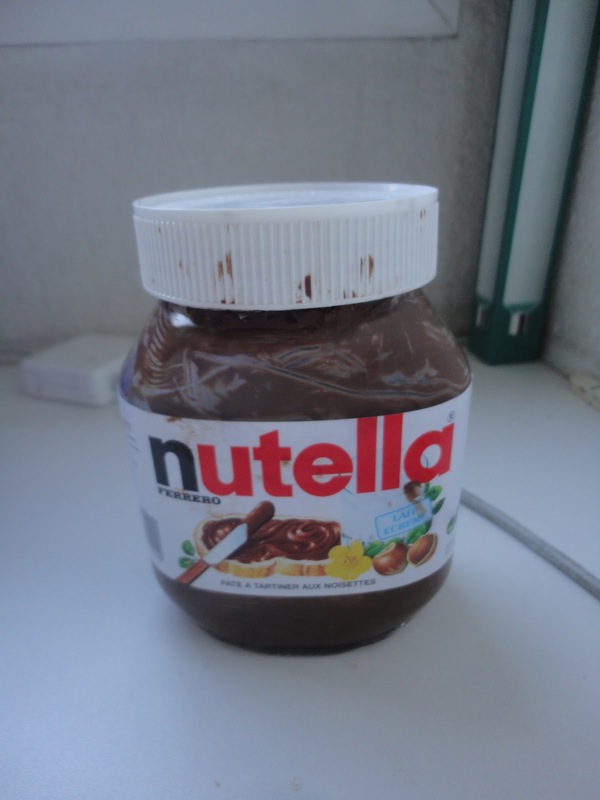 It has taken me 6 weeks to eat on 750 gram jar of Nutella.